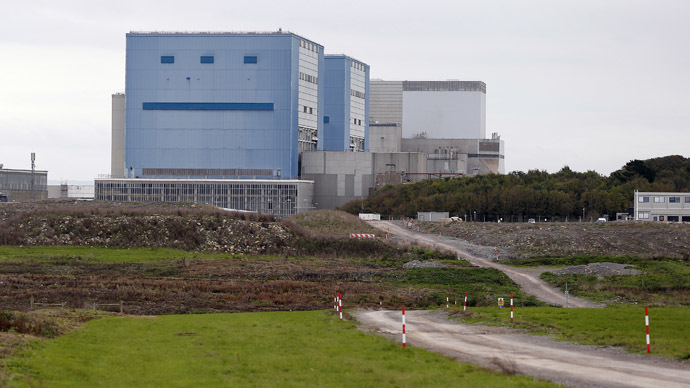 Despite a BBC Freedom of Information request for information regarding China's expected 30-40 percent stake in the new nuclear site in southwest England, the government denied further disclosure. The National Security Council’s job is to review and debate foreign investment projects and then to approve or deny them. In June last year, the government announced the civil nuclear agreement signed by the UK and China, which could be “worth hundreds of millions of pounds to British companies over several years.” This paved the way for Chinese companies to invest in Hinkley Point C.
The plant would be the first overseas venture for the China General Nuclear Power Corp. Meanwhile, the French nuclear power developer EDF is expected to sign an investment agreement with Chinese partners for the new reactor at Hinkley Point by the end of March, to secure investment for the project. According to the World Nuclear Association, the UK has 16 operational reactors generating around 18 percent of the country’s electricity. All but one of these will be retired by 2023. China is reportedly negotiating plans to build four new reactors in Turkey. One-third of the nuclear reactors currently under construction worldwide are in China. The nuclear plant is not the only UK energy project that China co-finances. The state-owned China General Nuclear Corporation is reportedly prepared to pay £100 million for an 80 percent stake in three UK wind farms.